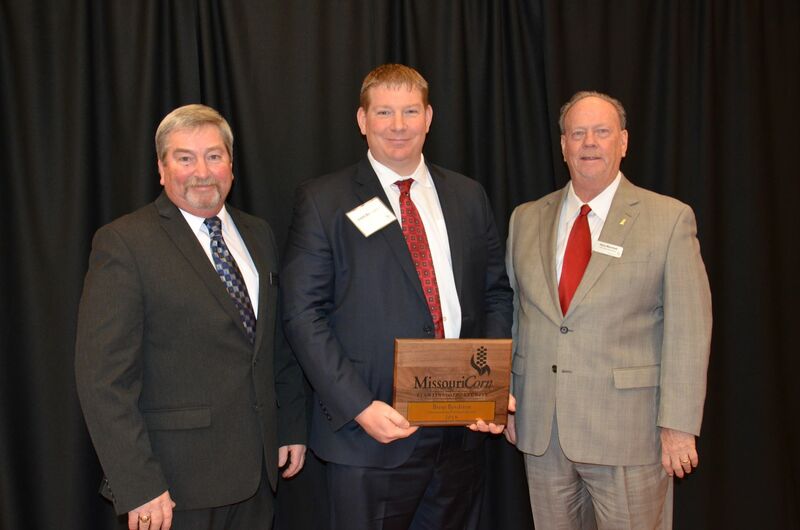 (JEFFERSON CITY)—Corn farmers, industry representatives and guests from across the state gathered in Jefferson City, Mo., yesterday for the Missouri Corn Growers Association (MCGA) annual meeting and legislative day. The morning kicked off at the DoubleTree Hotel with MCGA’s annual meeting. Members reviewed financials, heard from industry leaders and elected four board members: Brent Hoerr of Palmyra to represent District 3 in northeast Missouri; Mike Moreland of Harrisonville in District 4 representing the western region; Jay Fischer of Jefferson City to represent central Missouri growers in District 5; and Clint Stephens of Advance to represent District 7 in the southeast region. 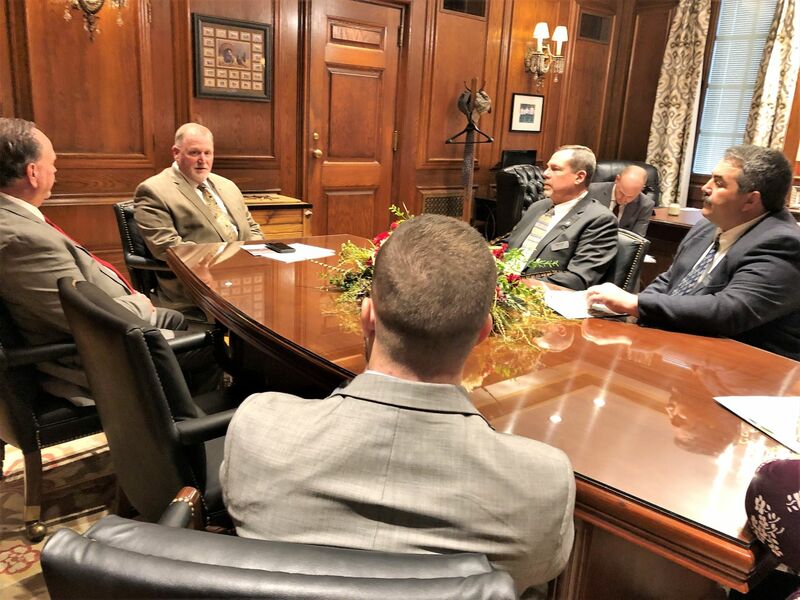 Following the annual meeting and luncheon, growers visited the State Capitol to discuss the importance of Missouri’s corn and ethanol industries with legislators, as well as the vital role livestock production plays in this state. 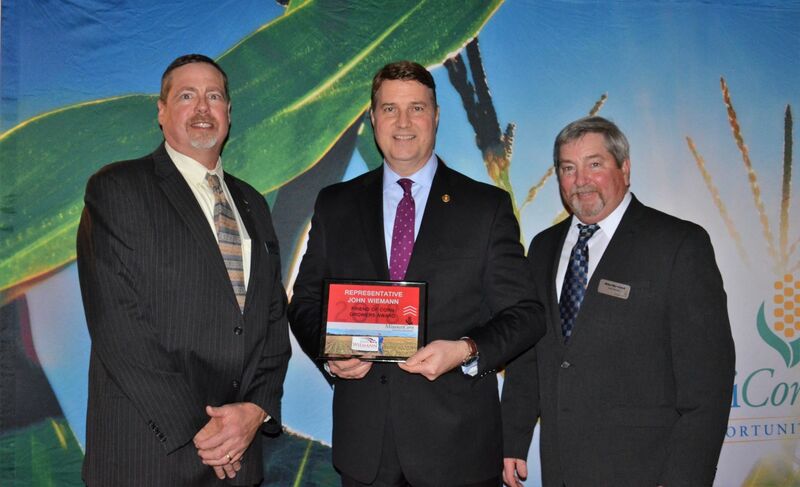 Livestock are the top consumers of Missouri’s corn crop. 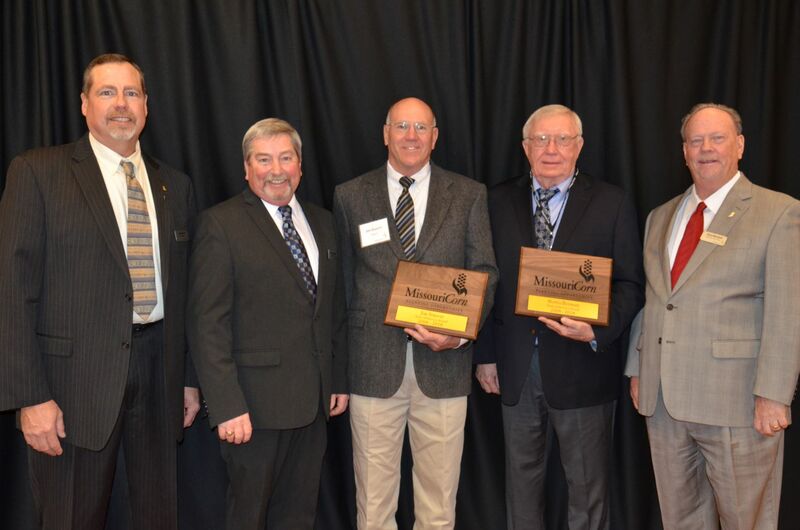 The Missouri Corn Growers Association is a membership organization of farmers dedicated to growing and defending the corn industry. MCGA works in the best interest of farmers on key agricultural issues and fights for pro-agriculture, pro-corn legislation. To learn more about Missouri Corn, or to become a member, visit www.mocorn.org or call (800) 827-4181. Photo Caption: Growers from across the state visited the Missouri State Capitol to discuss issues relevant to corn growers with elected officials during the Missouri Corn Growers Association Annual Meeting and Legislative Day, Jan. 23 in Jefferson City. Photo Caption: Missouri corn farmers visited with Senate President Pro Tem Dave Schatz during the Missouri Corn Growers Association Annual Meeting and Legislative Day. Growers shared the importance of increasing corn grind through livestock production in the state of Missouri and other issues important to their farm. 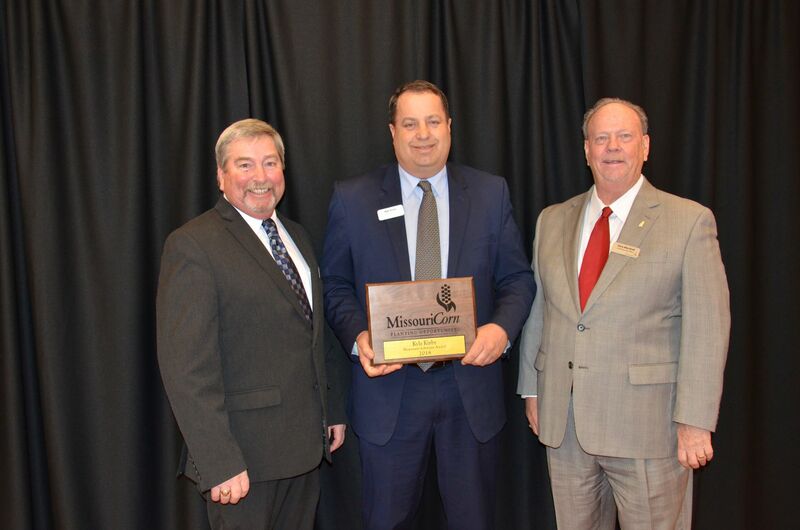 Pictured (l-r) Missouri Corn Growers Association CEO Gary Marshall, Senate President Pro Tem Dave Schatz, MCGA President Mark Scott and MCGA Vice President Greg Schneider.